for $5,400,000 with 7 bedrooms and 7 full baths, 2 half baths. This 17,280 square foot home was built in 2009 on a lot size of 87120 Sqft.. This one of a kind gated 2 story estate was completely renovated. The master bedroom has it all a sitting room, an enormous walk-in closet and a bathroom with a roman tub, powder room, Chicago brick ceiling arch and a private outdoor spa. It has 2 living rooms, a movie theater, a full-size gym, elevator, a wine cellar, motorized window treatments and a full wet bar. The custom kitchen is fully equipped with a Sub-Zero refrigerator, Thermador Stove, oven and dishwasher and the finest Miele expresso coffee maker. 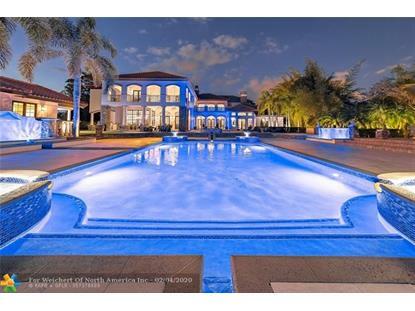 The outside of the home has specially manicured gardens, an outdoor kitchen a magnificent pool, jacuzzi and custom water fountains that at night light up with a blue that will take your breath away. Lastly there is a 2, 000sf guest house, with a full bathroom, salon and kitchenette.